Are you 404 (IT slang for clueless) when it comes to what exactly a computer networking specialist is? Well, it’s easy to be confused; there are so many different paths you can take with a computer networking degree. One thing is for certain: If you’re highly qualified, there will be no stopping your growth potential. Computer networking keeps computers connected and speaking to each other. It’s what allows people to work from home in Michigan when their companies are in California. And thanks to it, companies can have business meetings via video conferencing. Another perfect example of computer networking is the Internet—shared information being spread throughout every computer connecting to it. No computer system is too big or too small for a properly trained computer networking specialist. The IT department where you work will determine the scope of your duties. Computer network specialists have an incredible range of knowledge where computers are concerned, especially when it comes to networking, computer systems, and periphery systems. As a computer networking specialist, you’re one of the key people making sure the company employees are able to communicate with each other as well as their customers. There are so many different things a company will come to rely on when you’re around. Let’s face it, if something breaks in the networking system, the business can’t operate. You’re needed to save the day. Computer networking specialists have quite a demanding job. Not just anyone has the necessary skills needed to keep up with what will be asked of you. Do you have what it takes? Perpetually problem solving: This is going to be numero uno when it comes to skills you’ll need. And you’ll be called on this ALL. THE. TIME. Problems happen, and you’re going to need to quickly and effectively solve them, so it can be business as usual. No communication breakdown: You’ll be constantly chatting with fellow employees, so you have to be able to communicate clearly and effectively. Maven of multitasking: Company issues may come at you fast and furiously, and you’ll need to be able to give them attention, sometimes all at once. Analytically adept: You can take all that information that a computer spits out, evaluate it, and figure out what the heck is going on. Not to mention, you need to be very computer savvy and know your way around all things tech related. You need to also be very up to date in the changing cloud and mobile technology, too. You’ll find that your degree requirement will depend on where you work. Some employers will take someone with an associate’s degree plus a good amount of experience, but most will only consider someone with a bachelor’s degree. Either way, you’ll need to go to a school with an accredited computer science, network technology, software engineering, or information security program. Bachelor’s degree: To be eligible for entrance into one of the many colleges offering a computer networking-related program, you’ll first need to have your high school diploma. In some cases, the college may allow a GED. Each college has its own minimum high school grade point average necessary for acceptance, so you’ll need to check that out on the websites of the colleges on your list. You will sign up to take courses in both basic and more advanced areas such as programming, networking, database and project management, and network design, along with your other core classes. Some programs have focus areas, allowing you to customize your degree. By taking courses geared toward this career, you will gain the knowledge and experience that would be considered hireable by most employers. To finish your bachelor’s degree, you will need to complete between 124-130 credit hours, depending on your school. Continuing education: If you don’t want to change jobs as often as technology advances, then you’ll need to keep up with the technological times. Most students heading into computer-related careers do so with the knowledge that they will be lifelong learners. Continuing education through courses, seminars, conferences, and anywhere else new information is presented is a must. Many colleges will require you to do an internship, which is perfect for gaining hands-on experience. Certifications are a good idea in this industry. Having them is as good as having your college degree. Certifications are offered through vendors such as Cisco and Microsoft, as well as third party associations. Your work may require you to get a certification from the product your company uses. Cisco CCNA: This is the associate level of Cisco’s certifications. There are quite a few certifications available such as Cloud, Collaboration, Security, Routing and Switching, Service Provider, and Wireless. The maker has more advanced “Professional” levels available as well. Dell EMC Proven Professional Technology Architect: Dell offers a wide range of certifications from cloud administrator to storage administrator to cloud architect and more. Certified Wireless Network Administrator: This non vendor-related certification is a foundational level LAN cert. It is taken at a Pearson Vue Testing Center. There are 60 multiple choice questions with a 90 minute time allotment. The cost is $175. Novell CNE: Before you can get this certification, you must already have your CNA certification. The Novell CNE is the highest level of certifications available to computer networking professionals. When you choose to head into computer networking, you are opening so many different doorways. Computer Network Architects aka Network Engineers: The architects design and build the LAN and WAN networks. Their median annual pay is over $101K. Network Analyst: They analyze the current system and will design and install new ones to help optimize organization within the company. The median salary is over $87K. Information Systems Administrator: The are responsible for the day-to-day usage of a company’s computer network. Their median annual pay is almost $80K. Computer Programmer: They write and test code for applications and programs to run. Their median annual salary is $80K. Computer Engineer: Through research and testing, computer engineers create new computer technology. Median annual salary for them is over $115K. Database Administrator: By using highly specialized software, database administrators store and organize important data securely, making it easily accessible to users. $85K is their median annual salary. Systems Analyst: Through learning the needs and limitations of a business and its technology, they are able to improve the functionality of the operations. For their work, they earn a median annual salary of $87K. Computer networking specialists, excluding administrators and architects, are bringing in a median annual wage of over $62K. More experience means a higher paycheck, so the top 10% are earning salaries over $105K, while more of the entry-level positions are bringing in $37K. Careers in computer networking are all growing faster than average, ranging between 8-12% through 2024. More companies are bringing in complex systems, which means more complicated IT issues. So, whether you’re looking to work in a company, as a freelancer, or in a third-party IT company, jobs should be pretty available. 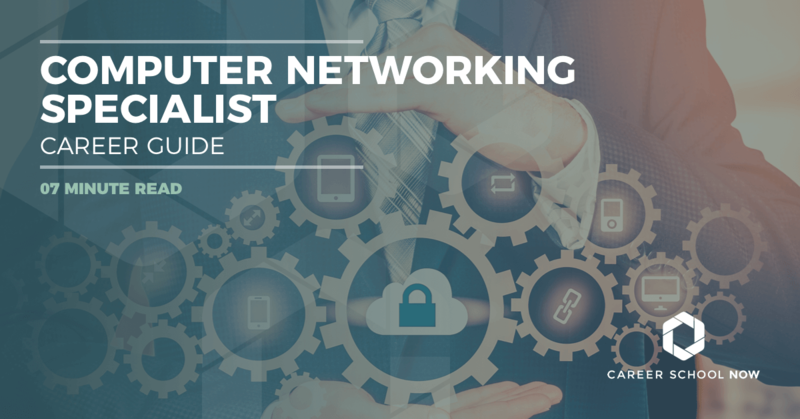 Computer networking offers varied careers that are both interesting and complex. With the right personal qualities, education, and certifications, you can find yourself involved in a career that is never boring, and forever growing.